The time was the early 1990s, and scientists were racing to discover how T cells become activated. They knew the structure of the T cell receptor and that binding with the cell surface protein CD28 switched T cells on. But they were missing a piece—they didn’t know yet that T cells could be switched off, or blocked from ever turning on. Once uncovered, that key detail would introduce a new class of potent cancer drugs called immune checkpoint inhibitors, which harness the immune system to combat cancer. One scientist who played a pivotal role in this discovery was Jeffrey Bluestone, Ph.D., who is president and CEO of the Parker Institute for Cancer Immunotherapy in California and A.W. and Mary Margaret Clausen Distinguished Professor of Metabolism and Endocrinology at the University of California, San Francisco. He has become renowned for his contributions to the field of immunomodulation, and was shortlisted for the Nobel Prize in 2016 and again in 2017. Dr. Bluestone speaks at the Parker Institute for Cancer Immunotherapy. During the 1970s, he attended Cook College, a part of Rutgers University in New Jersey, and majored in biology, graduating with high honors. During his senior year, he worked with a faculty member on what he thought was a small project at the time. The project turned out to be much more significant, as the molecule of interest was a calcium-binding protein that was later known as calmodulin. He went on to complete a master’s program in microbiology at Rutgers and earn his Ph.D. in medical sciences in 1980 at Cornell University (Sloan Kettering Division) in New York City. For his post-doctoral work, he went to the National Cancer Institute campus at the National Institutes of Health (NIH) in Bethesda, Maryland. It was there that he started working on organ transplantation. He spent those early days growing individual T-cell clones, attempting to understand the basis for their recognition of foreign tissue and how that could inform the production of a tolerogenic drug. Dr. Bluestone says it was during his time at the NIH that he became “totally convinced” that for all immunological diseases, whether it be cancer, autoimmunity, or transplantation, the T cell was going to be the cell that dictated an appropriate immune response. His work on T cells has since touched a breadth of areas, from diabetes to organ transplantation to cancer. “When I left the NIH in ‘87 to go to the University of Chicago, my goal then really was to try to understand what were the core signals that decided whether a T cell got turned on or turned off during an immune response,” he says. Once at the University of Chicago, Dr. Bluestone and several others were working to understand T-cell activation. At the time, CD28 was the paradigm for how the T cell became activated and was the focus of much attention. “People were looking for other molecules that could substitute for, or amplify, the CD28 effect,” he says. His lab, like others, were making antibodies against cell surface molecules that might play a role in T-cell activation, and among the antibodies his lab made were those targeting CTLA-4, a protein receptor that decorates the surface of T cells. At the time, researchers knew that the structure of CTLA-4 was similar to that of CD28 and bound the same molecules on antigen-presenting cells. The evidence suggested CTLA-4 was a sister molecule of CD28 and that it switched T cells on. But when Theresa Walunas, a graduate student in Dr. Bluestone’s lab, created and tested the CTLA-4 antibody, the T cells unexpectedly became activated, implying CTLA-4 was a negative regulator. Now it became clear that when CTLA-4 bound its ligand, the T cell turned off and the immune response halted. When CTLA-4 was unbound, the immune response ramped up and boosted immunity. When Dr. Bluestone revealed this finding, the field initially resisted. It didn’t fit the current model of understanding. The paper was eventually accepted and published in 1994 in the journal Immunity. Long-time colleague and fellow immunologist Fred Ramsdell, Ph.D., vice president of research at the Parker Institute for Cancer Immunotherapy, recalls the reaction to the discovery that CTLA-4 is a negative regulator of T-cell activation. “It really was a new paradigm,” Dr. Ramsdell noted. He says the concept of inhibitory receptors on the T cell, like CTLA-4, was challenging for people to understand at the time because it wasn’t a common concept. “Jeff was at the forefront, along with others, [of] identifying this as a negative regulator of T-cell responses,” echoed another long-time colleague, Laurence Turka, M.D., who is co-director of the Center for Transplantation Sciences at Massachusetts General Hospital. 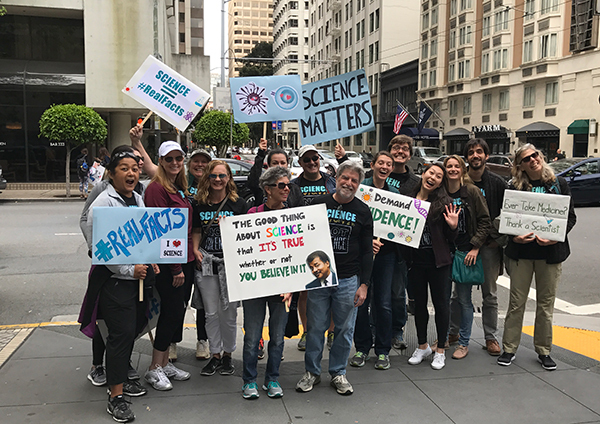 One of the other key scientists in the field was James Allison, Ph.D., who was at the University of California, Berkeley at that time. In 1996, Dr. Allison published a paper that showed blocking CTLA-4 inhibited tumor growth in mice. Now, he is recognized as being a part of the discovery that CTLA-4 negatively regulates T-cell activation. Another scientist was Craig Thompson, M.D., who, at the time, was a colleague of Dr. Bluestone at the University of Chicago. Dr. Thompson was also working to understand T-cell activation, but he was focused on studying the role of CD28. The first immune checkpoint inhibition therapy that came from this work was a CTLA-4 inhibitor called Yervoy® (ipilimumab). The FDA approved ipilimumab in 2011 for melanoma, and for a portion of metastatic melanoma patients, this immunotherapy has extended the survival rate from months to years. Since then, other big-name immune checkpoint inhibitors, namely Keytruda® (pembrolizumab) and Opdivo® (nivolumab), have been approved for use in patients for certain types of cancer. Dr. Bluestone’s work with CTLA-4 led to the first immune checkpoint inhibitor—a fact which made him a competitive candidate for the Nobel Prize—but that’s not all he has added to the field. “He has contributed many different aspects for how the T cell is regulated, and generally with an eye toward how to use that understanding to then develop therapeutic paradigms and how to treat disease,” says Dr. Ramsdell. He notes that this talent for translating scientific advances into new opportunities for drug development is unusual for a scientist who is not a practicing physician. Another important—and a similarly controversial—contribution from Dr. Bluestone involved a subpopulation of T cells called regulatory T cells. Dr. Bluestone explains that regulatory T cells are key to the prevention of an immune response that could morph into autoimmunity. His lab discovered that regulatory T cells have plasticity, meaning T cells could lose their identity and become nonfunctional. But more importantly, they can actually become “effector” T cells that can cause autoimmunity. His lab first proposed this idea in a 2008 paper, and he and others have since published several related papers. “That was a hard thing for the field to appreciate,” says Dr. Bluestone. “Why would it be that you’d have that kind of plasticity in a cell when it’s so important to the vitality of the animal or human?” The reason, he explains, is because there are circumstances where having this plasticity can be beneficial. For example, when a viral infection occurs, the regulatory T cells, which normally prevent an immune response, can be recruited to do the opposite: Fight the infection. This research has since contributed to the ongoing clinical development of a cell therapy that uses regulatory T cells for the autoimmune disease type 1 diabetes. Dr. Bluestone published Phase I clinical trial results on this in 2015 and a Phase II trial is underway. He is continuing to study regulatory T cells as a form of cell therapy for type I diabetes as well as other applications, like the autoimmune disease pemphigus and liver transplantation. “What’s great about science is that science is about the unexpected results, and so almost anything that I’ve ever published that’s been at all impactful has been because we ended up thinking we knew what the result was going be and then we found just the opposite,” says Dr. Bluestone. 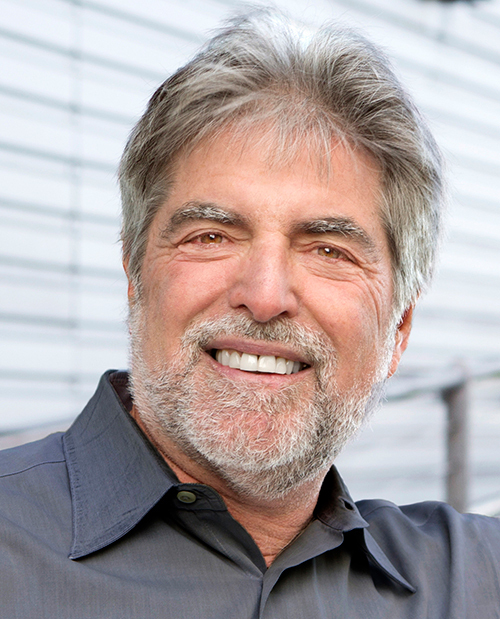 One secret to Dr. Bluestone’s success has been his collaborative nature. Early in his career in the 1980s, Dr. Bluestone demonstrated his collaborative approach when he made an antibody for CD3, which is a molecule that is part of the T-cell receptor complex. He explained that the antibody was useful in the mouse immunology community because no reagent existed at the time. He was then invited to give a presentation about it at a Gordon Research Conference. Dr. Bluestone’s collaborative instinct led to creation of the Immune Tolerance Network in 1999, and he ran the organization for about a decade. The Immune Tolerance Network is an initiative for clinical research and is centered on accelerating the development of therapies for diseases caused by improper immune responses, such as autoimmune disease, allergies and asthma, organ transplantation, and type 1 diabetes. Dr. Turka, who became an integral part of the Immune Tolerance Network, says Dr. Bluestone brought people together in a way in which they contribute to one another’s areas and think synergistically about moving the field forward across diverse area of diseases, not just in their individual niches. And now, Dr. Bluestone is at the helm of a highly collaborative initiative called the Parker Institute for Cancer Immunology. 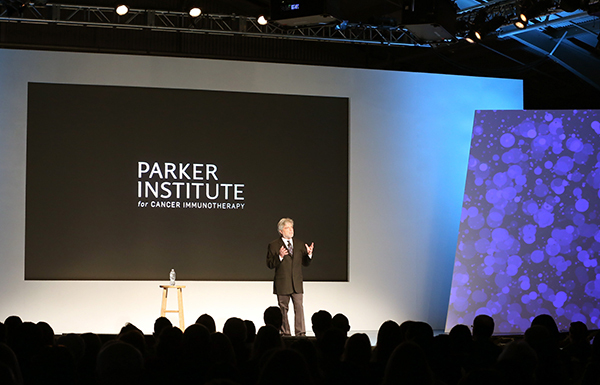 The Parker Institute, launched in 2016, aims to accelerate the development of immune therapies to treat cancer. The institute has galvanized top researchers from academia, industry and other nonprofits, and Dr. Bluestone’s job requires wearing many hats and juggling the needs of many different organizations to get them working in sync. Dr. Bluestone says the Parker Institute has taken on this mantra of “high-risk, high-reward” studies in unmet clinical need areas—and he’s excited about that. What also piques his interest is being able to fundamentally understand why these cancer immunotherapies are also leading to other diseases, from type 1 diabetes to inflammatory bowel disease. Melanoma Cells: All Stem Cells in Disguise?